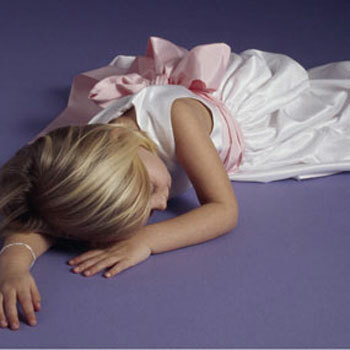 A delightful, well-dressed Flower Girl can be a real scene stealer and tone setter at any wedding ceremony. Since this is usually the Bride's responsibility, you should take some time to find the best fashion alternatives and the perfect outfit for the youngest member of your wedding party. 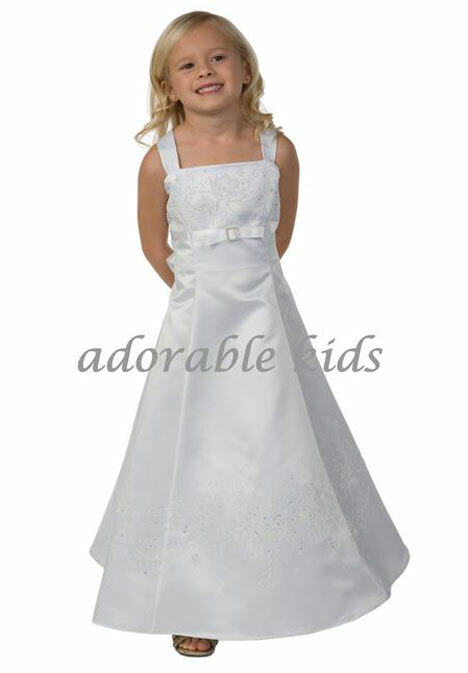 One of the most popular themes is to dress the Flower Girl as a junior or "little bride". This role originated in the Roman Empire, when Flower Girls would carry herbs and sheaths of wheat as a blessing of prosperity to the Bride and Groom. 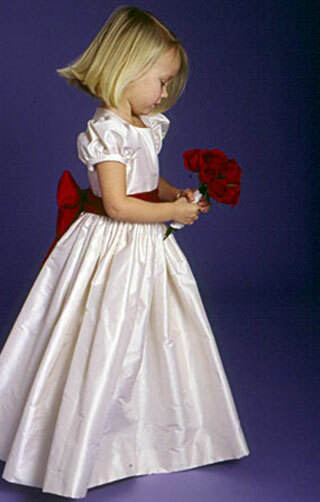 In the middle ages, Flower Girls would carry garlic to lure evil spirits away from the Bride. Today, the Flower Girl's role is to set the tone for the wedding ceremony and to symbolise the crossing over of the Bride from Childhood to Womanhood. This means that your fashion choices for her are very important. 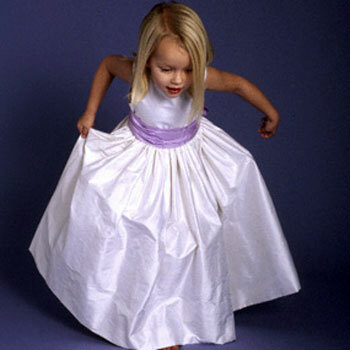 A young Flower Girl will often share more in common with the Bride stylistically, while one that is slightly older should reflect the fashion of the Bride's Maids. Traditional ceremonies will often call for a full length satin gown and veil to match the bride. However, contemporary designs more often show simple styles and clean lines in a tea length. Though it is tempting to choose your favourite design, be sure to consider the best style for the wearer. Sleeveless, modern gowns are a popular choice as they combine comfort and elegance. 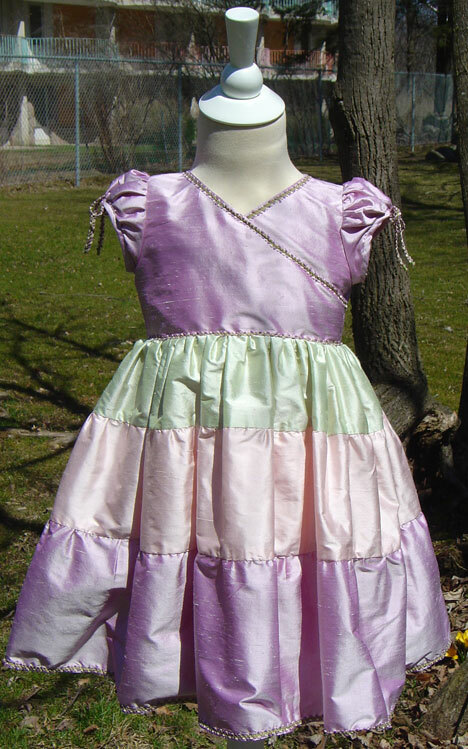 But consider the style of her dress carefully as the wearer's look will be a key to her mood on the day. While matching to the rest of the bridal party isn't necessarily compulsory, White and Ivory are the most popular colours for Flower Girl Dresses. Silver and light pastels can also be good choices if the Bride has decided on a more contemporary look. 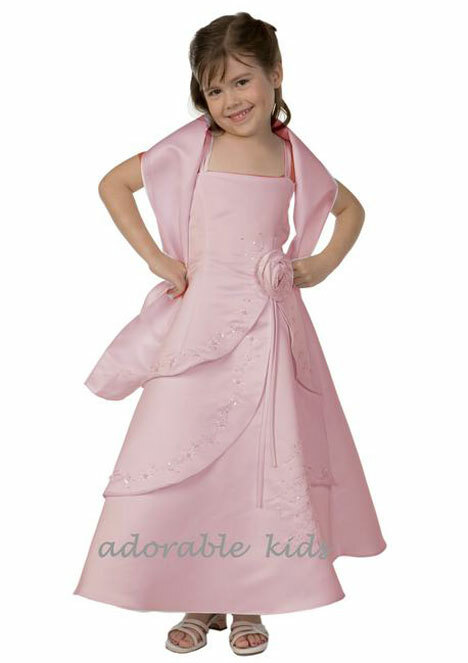 If you're considering matching your Flower Girl's dress with the décor perhaps try a flower-petal filled design.